There is a strange political conversation under way as the 2020 Democratic presidential primary moves into its next phase. It proposes something mildly eccentric, vague, and impractical — but at least it started a conversation right? Wrong. According to Judge Joe Brown, the entire political party is condescending to itself. None of the Democratic 2020 contenders who dared address reparations for slavery is serious about the project. Those of them who are somewhat serious about anything ... See More are serious only about winning the party’s nomination. 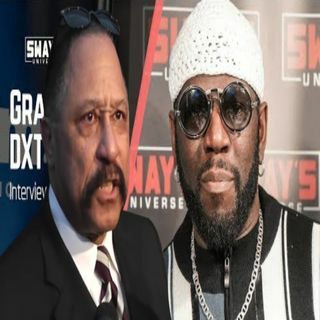 Listen now as Judge Joe Brown, GrandMixer DXT, Bishop Scott and others demand that you address the fine print of THE CANDIDATES support for reparations.